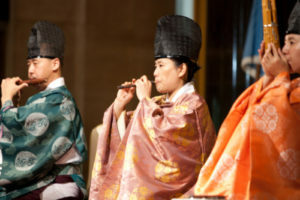 Commemorating the 30th anniversary of its founding in 1968, the Institute for Medieval Japanese Studies will hold an international conference on “The Culture of Convents in Japanese History” in the fall of 1998. A direct outgrowth of the Institute’s Imperial Buddhist Convent Survey Project, ongoing since 1993, the conference will enable its international team of scholars to report to a broader audience of scholars on the heretofore unexamined materials that are now emerging in the survey, some of which dates back to the thirteenth century. The conference will be the central academic core of the broader commemoration, which is planned to honor the thirteenth century Rinzai Zen Abbess Mugai Nyodai (1223-1298) and thereby to further the research on her enormous legacy. [See FULL PROGRAM on page 3.] The discovery of a magnificent life-size thirteenth century chinso Zen sculpture portrait of Abbess Mugai Nyodai was one of the initial revelatory events that drew scholarly attention to the whole ignored female side of Buddhist institutional history and, more broadly, to the role of women in Japanese religious history. In many ways, therefore, she has been the inspiration, or the ‘patron saint’, as it were, to the Institute’s research projects of the last decade. November 1998 corresponds exactly to the 700th anniversary of her death. For this reason we plan to open the research conference with a memorial service for her which will be conducted at Columbia University in St. Paul’s Chapel by the abbesses and nuns of the convents whose archives and storerooms we are now studying, and who look back to her as their founder. Two divisions of Columbia University, the Rotunda Gallery and the Kress Room and Rare Book Gallery of the C.V. Starr East Asian Library, are planning two supporting exhibitions, the former on Columbia University Treasures of Buddhist Sculpture and the latter, an exhibition that will focus on the lives of historic nuns from the eight Imperial Buddhist Convents (ama monzeki jiin) still remaining in Kyoto. In Japan, the abbesses and nuns of the convents have pledged their enthusiastic cooperation and are already involved in selecting sutras and equipment for the memorial service and treasures for loan to the exhibitions. Manabe Shunsho, Director of Kanazawa Bunko near Yokohama, who has been a member of our research team since 1993, has pledged the full cooperation of the Bunko which houses many relevant documents and a statue of the Abbess Mugai which he will send to us. The conference is the culmination of almost a decade of work by the Institute to open up what has been one of the most astonishingly neglected areas of research in Japanese religious and cultural history — the vital role played by religious women and nuns in the introduction and spread of Buddhism in Japan, as institution builders and patrons, and in the founding of major networks of convents to which present-day Imperial Buddhist Convents trace back their roots. To date the history of Japanese Buddhism has been written based exclusively on the writing of Japanese monks and on the study of the archives of male monastic institutions. The entire other half of religious history — that of ecclesiastical women — has been our challenge. We began in December of 1989 with a shoe-string conference in New York, the “Workshop for Women and Buddhism in Pre-modern Japan: Research Strategies for a Newly Developing Field.” It was a small beginning, made possible by the cooperation of a new, enthusiastic group of scholars in Japan, the Kenkyukai: Josei to Bukkyo. The network has since grown, resulting in numerous publications both in Japan and abroad; a two-volume set of research chapters in English is in the hands of a publisher now. But the great breakthrough came when, due to our research efforts concerning Abbess Mugai Nyodai, the Imperial Convents in Kyoto who consider her their spiritual founder, opened their heretofore tightly-closed doors to one or two of us. And eventually the Imperial Convent Survey Project became a reality. There is much to be covered during the three-day weekend. The list of outstanding research paper topics for the conference offered for our selection is already a rich one. To date we have received requests to participate from more than 62 scholars from Japan, Europe, and the United States. During the coming year we will select carefully the most promising and seminal research papers most appropriate for post-conference publication and will devise open panels and discussion circles for others to assure accommodations for as many scholars and students as possible who are actively involved in the development of this new field. Our objectives are multiple, and more important, they are achievable. Our goals are to increase in quantum dimensions the research being conducted on convents; to contribute to the increase in publications on the role of abbesses and nuns in all disciplines (history, art, religion, and literature); to impact effectively the current academic curriculum, so as to add a full measure of primary sources from historical materials that document the beliefs and practices of religious women; and to strengthen the delicate but vital threads that now link scholars and the object of their study: i.e., the university researcher to the convent-residing nun and her preserve. 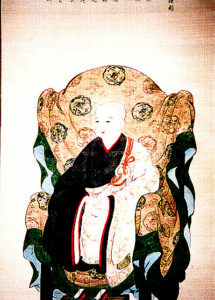 Disciple and spiritual heir of the Chinese Rinzai Zen monk Wu-hsueh Tsu-yuan (known in Japan as Mugaku Sogen Bukko Kokushi]); founding Abbess of Keiaiji Convent temple complex of the Five Mountain Rinzai Zen Convent Association; and spiritual matriarch of many of the remaining monzeki convents today. 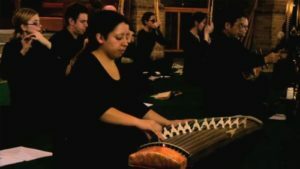 The reading of sutras; the offering of incense and tea; memorial ceremonies conducted by nuns and monks related to Abbess Mugai Nyodai’s lineage and joined by others wishing to honor her; musical offerings of vocal and instrumental music including that from medieval Latin West convents of the same era as Abbess Mugai Nyodai. Calligraphy, ritual objects, never-before-exhibited portraits of abbesses, and furnishings of their daily life, including books, games, and utensils created over the centuries by the nuns themselves as well as other works related to the lives of Japanese Buddhist nuns. 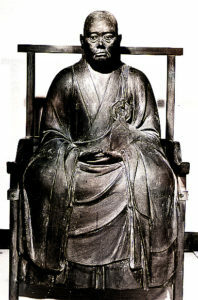 Exact replica of thirteenth century chinso portrait statue of Abbess Mugai Nyodai enshrined in the Hojiin Convent and designated an “Important Cultural Treasure” (from the Kanazawa Bunko Collection). Paul GRONERMary Martin McLAUGHLINMimi YIENGPRUKSAWANNicole FABRICAND-PERSON Round tables and discussion sessions will be planned to accommodate non-paper givers wishing to participate actively. Professor Paul B. Watt’s article on “Women and Asceticism in the Japanese Tradition” has appeared in the Union Seminary Quarterly Review, 48:3-4 (1994), 93-103. He has also given papers at recent conferences on “The Place of Women in Early Japanese Buddhism: The Legacy of the Pre-Buddhist Period,” and “Shamans, Rulers and Nuns: Power and Women in Early Japan.” Professor Watt can be contacted at the Department of Religious Studies, DePauw University, Greencastle, Indiana 46135-0037<pwatt [at] Depauw.Edu>. Professor Paula Arai’s book, Women Living Zen: Japanese Soto Buddhist Nuns will appear in November 1998 from Oxford University Press. Professor Arai can be contacted at the Religious Studies Department, Vanderbilt University, 301-D Garland Hall, Nashville, TN 37235 <araipk [at] ctrvax.Vanderbilt.Edu>. Professor Emeritus of Music and Choral DirectorEarlham College, Richmond, IndianaandTeacher and ComposerTraditional Japanese Music at Columbia University, New York CityFriday, February 27, 1998 All are welcome. Intention to attend can be sent to: medievaljapan [at] columbia.edu or to fax no. (212) 678-8629. It would be helpful to us to estimate space, seating and food if we could hear from you. 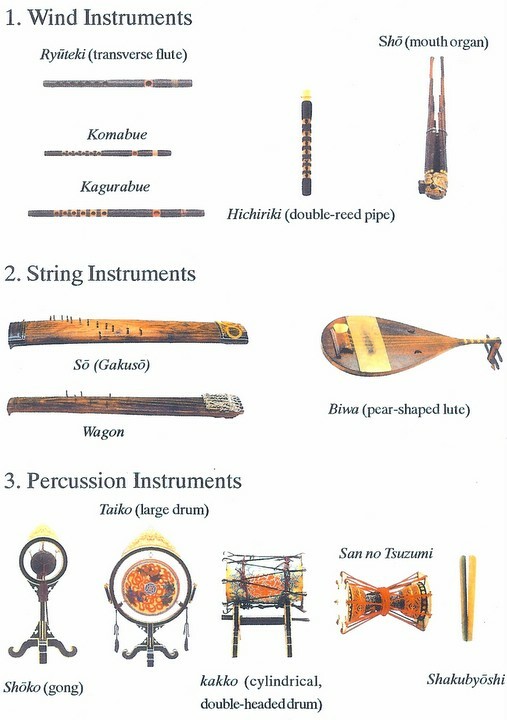 Holvik will be used to develop a curriculum in Japanese music both historically and in performance. The Institute for Medieval Japanese Studieswill host an informal workshop on SHINTO STUDIES IN THE WEST:Toward a Re-examination of University Curricula and Future Research Directions March 5-6, 1998 403 Kent HallColumbia UniversityNew York City Opening Session: Thursday, March 5, 19987:30 pmIllustrated Lecture (in Japanese) byManabe Shunsho, DirectorThe Kanagawa kenritsu Kanazawa Bunko“Kanazawa Bunko no Mikkyo to Chusei Shinto Shiryo” Workshop:(in English)Friday, March 6, 199810:00 am – 5:00 pmExcept for the keynote presentation by Professor Manabe, there will be no formal papers, but participants are free to prepare oral presentations on issues related to the theme of the workshop so that we may discuss them fully. It is hoped that the workshop will review the state of the field and will bring to the fore the problems that now hinder advancement of this field. Some areas for discussion will include the political and strategic difficulties of doing research in Japan on Shinto; women and Shinto in pre-modern Japan; Shinto and the Japanese literary canon; art historical problems; anthropological problems; and theoretical conflicts in Western academia. We hope to be able to make recommendations for future research projects and set up a network for the exchange of information and support. Graduate students too are warmly welcomed. Funding is not available for participants’ transportation or lodging except for those who will definitely be making a presentation. Two new members joined the survey this past summer, both of whom are also new Research Associates of the Institute for Medieval Japanese Studies. They are FUKUDA Chizuru, a member of the research staff at the National Institute of Japanese History, and MAKINO Hiroko, Assistant Professor at Kanto Gakuin Women’s College. I met Ms. Fukuda in the spring of 1997 when she briefly came to the Institute here at Columbia while she was a visiting scholar at Harvard. Though young, she is a veteran staff member at the Institute. Her ability to decipher handwritten komonjo documents at a glance without hesitation will be invaluable to our survey efforts. The survey team was impressed by her professional training, not only in the skill of reading texts but also in the matter of document preservation which largely had been overlooked before she joined us. Professor Makino is a specialist in the history of daily life of the pre-modern period. During the convent survey we were surprised to find her taking photographs of every meal before she began eating. She said that she has been taking such photographs for her research for many years. Her teacher was the late TANIGUCHI Yoko who was the author of the book, Daishoji Hikae (1992), which provides a wealth of inside information on the Daishoji convent. Professor Makino served as research assistant on that book and she has continued to assist the Abbess of Daishoji in the reading of documents in their archives. Trust between scholars and convents is difficult to build, and her relationship with Daishoji contributes immensely to the work of our Imperial convent survey team. In our last issue, we published a preliminary list of survey documents compiled by scholars at Hokyoji, and I suspect that many of you are looking forward to seeing another list. It has seemed advisable, however, to coordinate all of our lists at one time, and so we hope we will have a preliminary list of all the Hokyoji survey results ready by the time of the 700th Anniversary of the death of Abbess Mugai Nyodai (1223-1298) and the International Conference on “The Culture of Convents in Japanese History” to be held in New York November 21-23, 1998. Please see the Announcement and Full Program regarding the memorial service/symposium/exhibition elsewhere in this issue. Several scholars who have been participating in the survey at Hokyoji in Kyoto will make reports at that symposium. Please mark your calendar for next year; we hope you will be able to attend. Although we cannot publish the entire list of surveyed documents at this time, I would like to introduce briefly the contents of Box Five and Box Six which were surveyed in August and December of 1996, respectively. I attended the August 1996 and August 1997 surveys but was unable to attend the December 1996 survey. The preliminary list of the most recent survey conducted in August 1997 is not yet available. Such is the scale of the survey that each participant was busy deciphering what he or she was allocated to read and catalogue, and thus we were unable to gain an overview of all the materials. The following, therefore, is only a fraction of the list and by no means represents the entire contents. The oldest document surveyed in August 1996, an incomplete order for a land tax, dated from 1409 (Oei 16). A series of similar land tax documents recorded during the eighth month of 1491 was also surveyed. Further, about a dozen dated documents from the sixteenth century, ranging from 1505 to 1576, some of which were written by officials (Bugyo) of the Muromachi Bakufu, were found. One of the bundles in Box Five contained a substantial group of documents dating from 1813 to 1870 which appear to be IOUs. Without examining the details further, we cannot be certain, but the nunnery seems to have conducted a money-lending business at that time. Other miscellaneous documents included lists of gifts received, some of which were lists of presents received by Kin no Miya, the last abbess from the Imperial family to have become a nun at Hokyoji in the early nineteenth century, just before the Meiji Restoration. Box Five was largely comprised of account books dated from 1809 to 1827. Box Six was examined by five scholars in December of 1996. The oldest dated document was a copy of an original handwritten letter dated 1585 with Vermilion Seal (shuinjo; official letter by the Shogun) issued by Toyotomi Hideyoshi to Yorin’an, a sub-nunnery of Hokyoji which may have been a place of retirement for elderly abbesses. 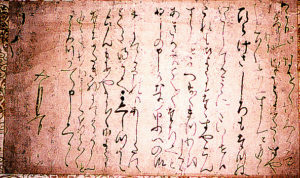 Another handwritten copy made from an original letter, with Black Seal (kokuinjo; official letter by a Daimyo), issued to Yorin’an by Tokugawa Ieyasu in 1615 was also found. In addition, two other handwritten copies made from original letters bearing Vermilion Seals issued to Yorin’an are preserved; one was issued by the Shoguns Tokugawa Ietsuna in 1665 and the other by Tsunayoshi in 1685. In the middle of the seventeenth century contention seems to have developed between the main nunnery and branch nunneries, as revealed by dispute papers (sosho) dated 1647 and 1652. Little has been written on nuns and their lives, so even small discoveries during our survey are quite significant. One such finding was the uniformity of names of the tonsured nuns at each imperial convent, traceable at least to the seventeenth century. By maintaining a specific, inherited Chinese character for their lineage, the convents demonstrated their continued succession visibly in writing and audibly in voicing their names. Daishoji, for example, used the character ei (infinite), as in Eiso Joo (1609-90), Eio Joo (1702-54), and Eijun Joo (1820-30). (The title Joo was given to daughters of Emperors who did not receive the rank of princess.) Hokyoji passed down the character ri (reason), as in Risho Joo (1631-56); Richu Joo (1641-89); Riho Joo (1672-1745); Hongakuin no miya, a daughter of Emperor Gosai); and Rikin Joo (Kin no miya) who frequently appears in the list of gifts sent by her father Emperor Kokaku (1771-1840). Throughout our survey of handwritten documents, the name Ikeda Kenmotsu appeared frequently. He seems to have been an able keishi, an administrator, in charge of accounts and other household business of Hokyoji convent in the mid-eighteenth century. Many documents concerning land, tax, and hired hands (kosakunin) bear his name. The inventory records of land, paddy fields, and dry fields owned by members of the Imperial family associated with Dodogosho (Hokyoji), which I personally handled in August 1997, typically had names such as “[name of a nunnery or temple]-ji Miyasama Goryo Tahata On’aratamecho” [Surveying record of the dry and wet lands owned by the Imperial family member of such-and-such temple/convent], or a similar name like “Tahata Goginmi aratamecho” [Close census and survey record of dry and wet lands]. By assessing these documents and other reference materials, scholars who have participated in the past surveys have discussed the general background of the convents of the seventeenth and eighteenth centuries. We know for certain that at the time of Emperor Gomino-o (1596-1680), many of his daughters entered convents as abbesses and either established or re-established convents. This development continued through the time of the Genroku era (1688-1704) but began declining shortly thereafter. Around the time of the Horeki era (1751-64), the convents seem to have revitalized. At that time, stewards and accountants, represented by a man like Ikeda Kenmotsu, appear in documents as integral members of the convent community who worked to ensure no lands were idle and that sub-nunneries in remote lands were built to secure convents’ ties to various areas. Their work helped finance and maintain the convents. Emperor Kokaku (r. 1779-1817) is remembered by the nuns as the last emperor whose reign contributed to the fostering of convent culture before the Meiji Restoration. Survey team members conducted surveys on August 31, 1996 and December 24, 1996. During both interviews the head Abbess Sawada Eisai at Hokyoji was the major interviewee. At the Institute we have retained a Japanese transcription and an English translation of both interviews, although they yet need to be verified with the interviewee; if you are interested in reading them, please contact us. The transcript of the first interview was compiled and summarized by Professor Nishiguchi, based on handwritten notes and a tape recording of the oral interview conducted by four scholars (Professors Nishiguchi, Katsuura, Oka, and myself). The second transcript is better organized, in a question and answer format. 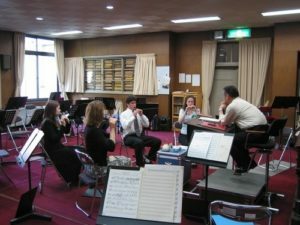 Professors Nishiguchi, Katsuura, and Oka conducted the interview. Their consistent enthusiasm for this oral history project has helped develop invaluable results. The second interview was designed to supplement the first one, and the basic structure of both interviews can be divided into two sections: activities at the convent and the personal history of the head abbess. The activities center upon dedicatory religious services involving the reading of sutras, reciting dharani, and the offering of food to the founder of Hokyoji convent (Karin no miya Egon Zen’ni of the fourteenth century), as well as in front of the main object of worship at Hokyoji (Shokannon), and in front of the ihai (mortuary tablets) of successive abbesses of the nunnery, and symbolically to the whole religious community of the convent. The main sutras that the nuns of Hokyoji recite are Hannya shingyo (Heart Sutra), Shosaishu (to eliminate calamities and disasters), Daihishu (a dharani), and Kongokyo (Vajracchedika prajnaparamita-sutra). The abbess, who is now 86 years old and who has spent most of her youth and adult life at the convent, recounts many changes in her life. It is an inspiration to hear from this diminutive woman (she is barely four feet tall) that she knows how to be content in whatever situation she might be in, whether in war without food or in a peaceful era. Through the interviews we have learned that at one point eleven nuns were members of the convent; now there are only three. A meeting was held at Hokyoji on August 29, 1997 among eight participants: Professors Nishiguchi, Fukuda, Katsuura, Komine, Makino, Manabe, Oka, and Ohki. Professor Nishiguchi called the meeting to examine the structure of our survey team, our budget, and our future prospective and schedule. Among several decisions, we determined that although we must mutually cooperate and communicate, the group will divide into three disciplinary teams of Literature, History, and Art. Each division will hold responsibility for choosing its survey contents, recruiting new members, fundraising, budget allocation, and executing its plans. Oral interviews will be incorporated into the History division. We will continue to seek the support of the National Institute of Japanese Literature, the National Institute of Japanese History, and the Institute for Medieval Japanese Studies, but each scholar will also seek funding from her or his own institution as well as from other private and public support in order to continue the survey beyond Hokyoji. No further surveys were conducted in 1997 except for preliminary studies and contacts that may lead to future surveys. The microfilm photo session of diaries at Hokyoji was completed in August 1997; what remains to be done at Hokyoji is a photo session of the books and komonjodocuments and a survey of the art works. We plan to conduct a photo session of the literary books preserved at Hokyoji in August 1998. Since 1996, under the leadership of an Institute Research Associate, Professor Xiao-Jie Yang of the University of Calgary, the Institute has offered workshops in conjunction with the annual AAS meetings on “Reading Classical Japanese Handwritten Documents.” Dr. Sadako Ohki, Institute Associate Director for Research, has been testing Professor Yang’s CD-ROM “KANAclassics,” which is designed to teach students, scholars and curators to read medieval handwriting. A textbook to accompany the CD-ROM is being developed by Dr. Ohki, a calligraphy specialist, together with Professor Yang and Professor Sonja Arntzen of the University of Alberta. The set should be available by next academic year. It will be demonstrated again at the art historians meeting (JAHF) of the AAS conference in Washington, D.C. in March and again in June at the International Convention of Asian Scholars in Leiden.